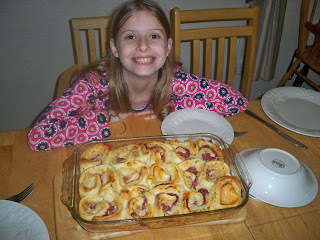 Miss E saw a recipe for these and just had to make them for her Daddy! She loves her Daddy so much, and knows that this would be something he would like. She made dinner for us all on Friday night with only a little bit of help from me. What a sweet, thoughtful girl she is!